USS LANG was the ninth KNOX - class frigate and the second ship named after John Lang who was a seaman on board the sloop-of-war WASP during her engagement with HMS FROLIC, 18 October 1812. He was the first man to board the British ship in the closing stage of the action, and his ardor and impetuosity carried the remainder of the boarding party with him. 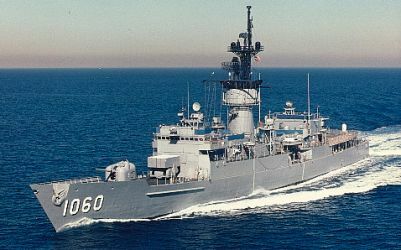 Decommissioned on December 12, 1991, and stricken from the Navy list on January 11, 1995, the LANG transferred to the Maritime Administration on June 29, 1996, for disposal at the Suisun Bay, Calif., site. 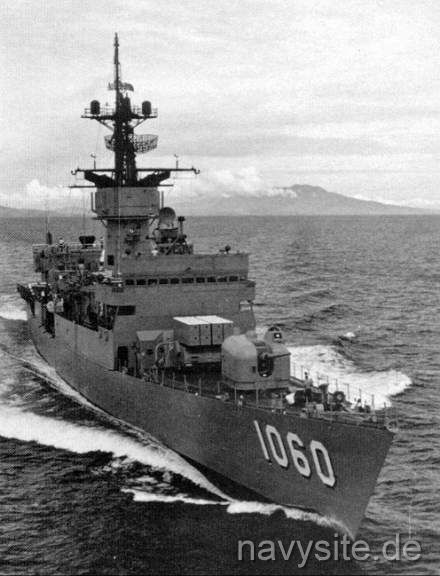 The frigate was later sold for scrapping. Scrapping was completed on December 15, 2001. Builder: Todd Pacific Shipyards, San Pedro, Calif. This section contains the names of sailors who served aboard USS LANG. It is no official listing but contains the names of sailors who submitted their information. Click here to view the list. 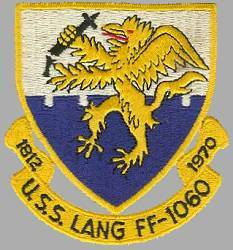 Click here to see which USS LANG memorabilia are currently for sale on ebay. Back to Frigates List. Back to Ships List. Back to selection page. Back to 1st page.